Let's ending up the series of articles about Hooking up Thunderbird to Exchange via DavMail (I, II). Through this final part, I am going to configure Lightning as a calendar connected to Microsoft Exchange. We are talking about an extension that adds calendar functionality to Thunderbird, and allows you to create your own calendars, subscribe to another calendars and manage your own schedule. First of all, you have to download the add-on related to this feature. In my case for example, I am using Thunderbird 14.0 on Ubuntu 12.04. Thereby, I have had to grab Lightning 1.6. Don't worry about future Thunderbird updates, since you will automatically be informed about this issue and will have the option to upgrade to a supported version of Lightning. After downloading Lightning, go to Tools, Add-ons and select Install Add-on From File. Choose the file previously downloaded and restart Thunderbird. 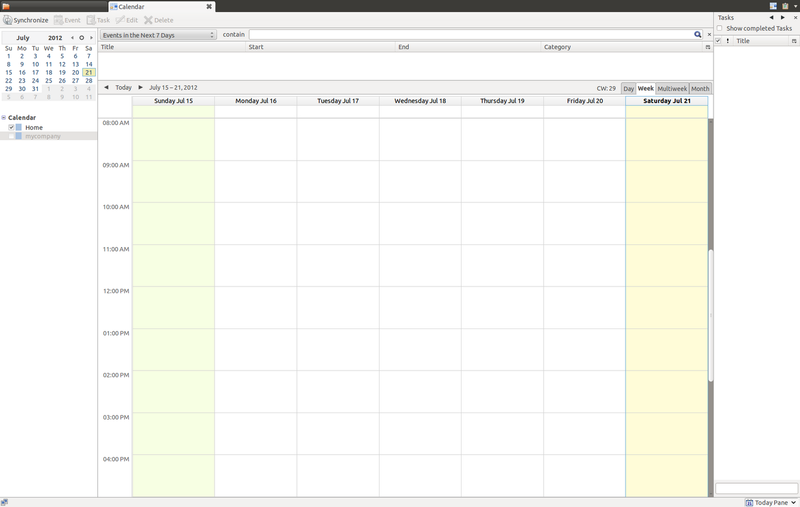 Now you are ready to add and configure a new calendar. For this purpose, go to File, New, Calendar and fulfil the wizard. 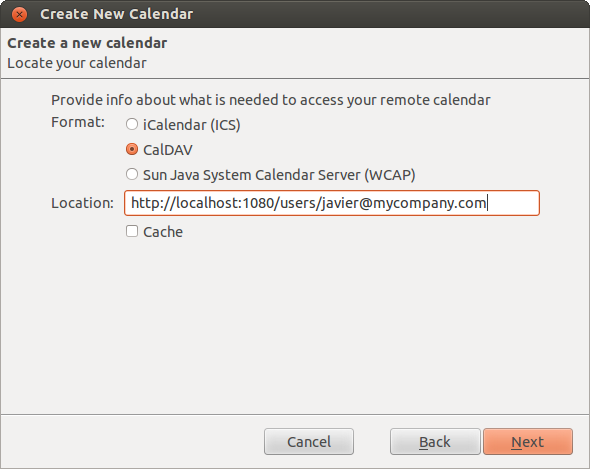 In the first screen, pick out On the Network, and in this way your calendar will be able to be stored on a server so as to access it remotely. 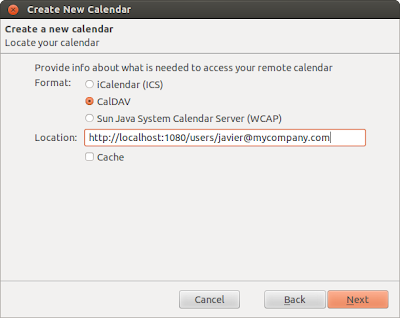 In the next screen, select CalDAV as Format and for Location, type the URL http://localhost:1080/users/ followed by your email address. 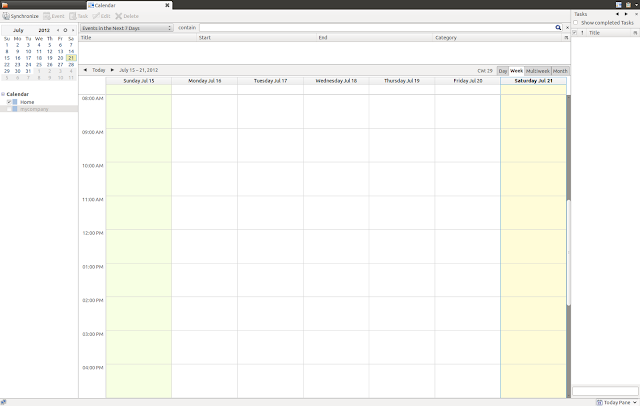 And finally, you can give a name to your calendar. After this step, a pop-up will request you about a username and password for your account. Lastly, your new calendar will be correctly hooked up to Microsoft Exchange and prepared to be used from now on.